Minor tweaks including grouping statc items when possible, into statice item collections (to improve game (fps) performance). 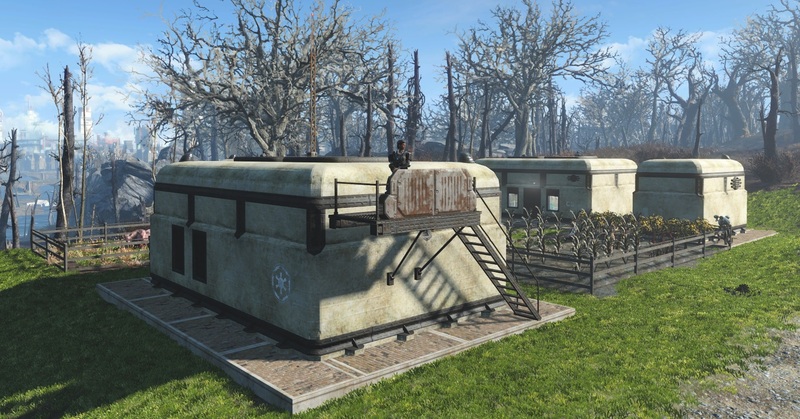 Reworked the settlement generators (gave them a new look); tweaked many of the interior furnishings for the residential buildings. Re-did the interior lghts: switched the light fitxure forms fo the 'off' version so it is compleetly dark when lights are switched off. 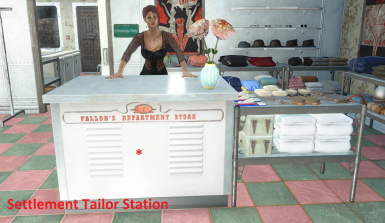 Changed default lighting to a vault light version which is less bright. 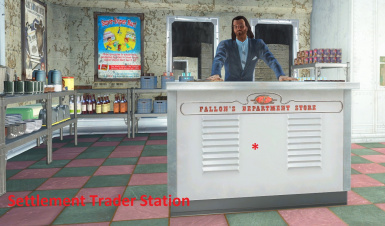 Added: working trader, tailor, cafe, medical stations (Egret Tours Marina). 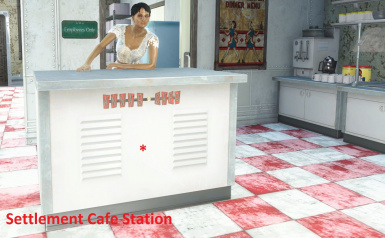 Added: Kitchen counter sinks (non-functional). 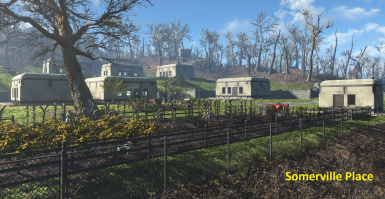 their G.E.C.K.s to build their settlements when they emerged from their previous underground sanctuaries. 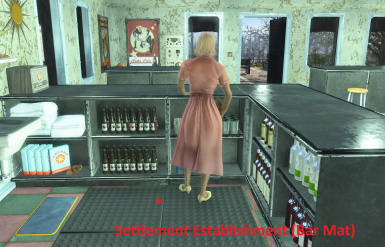 So this mod is my further attempt to build settlements within the Commonwealth utilizing the technology of Vault Tech. 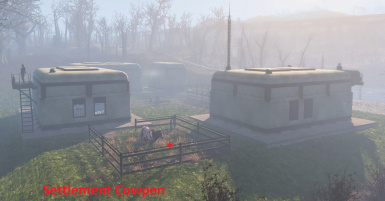 This is a major expansion on my previous released mod Oberland Station Settlement (G.E.C.K.) so I decided to release this new one and start off at v1.2 to reflect the changes and additions I made (working interior lights, working fireplaces, automatic closing exterior doors, etc). 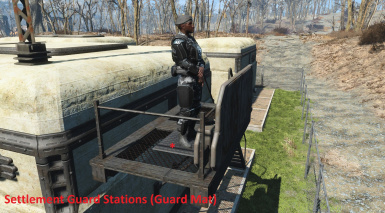 If you have the Oberland Station Settlement (G.E.C.K.) 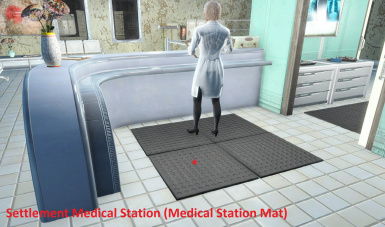 mod installed, I recommend emptying all containers (dressers, bathroom mirrors) that came with the mod first, then save and exit, delete mod then install this new one. 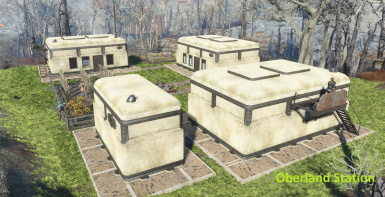 I made changes on most of the containers adding items within them and making them so they don't re-spawn..
FelloutIsLife: For all his Creation Kit tutorials, including instruction and assets on how to turn lights on and off; move ﻿﻿ settlement workshop locations..
Zorkaz: For his tutorial and help in creating static item collections. Niston: For his suggestion and help with disabling 'previs' in cells. 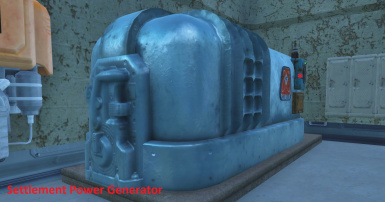 Thuggysmurf: For his help in creating automatic closing doors (script). 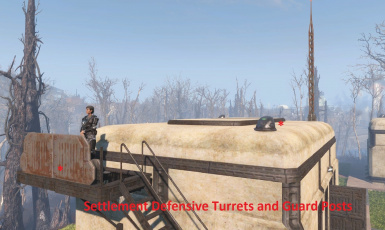 Vanguardascendant: For his suggestions and input on how to make the settlement mod better. Printerkop: For his much needed help and advice to make this mod look and function better.